Do you like Lighty Bulb 3? Share it with your friends. 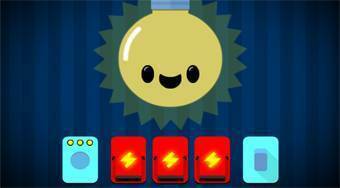 Lighty Bulb 3 is the third continuation of a wonderful logical game in which you have a lot of new levels ready for you. In each round, yours will find a way to light a light bulb. Solve various puzzles and puzzles and try to complete the game to the end.